So when that bulb heats up what could happen? 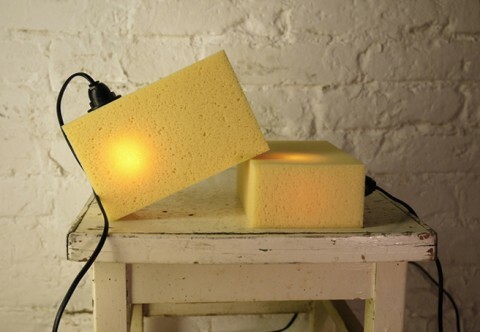 She’s got to be using a fairly intense LED bulb since there is a demonstrable amount of light penetrating the sponge. Besides the obvious fire hazard, what about the toxic emissions coming off that sponge? This is why the UL was used to test consumer products. Nothing new here: Harry Allen did this back in the mid 90’s with his ceramic foam lamps (@ MoMA) and then French designer Jean-Marie Massaud designed a similar floor lamp for Ligne Roset a few years back….